It’s hard to believe and even a bit overwhelming for us to think about, but ten years ago this week the Pauling Blog came into being. In the decade that followed, thirty-three people authored posts for the project, in the process compiling a body of work that now consists of over 664,000 words. Later this year we will publish our 700th post and, probably come Fall, we will record our one-millionth view. Heady stuff for a resource that, as we’re fond of recalling, was originally created to document the issuing of a postage stamp. We will have more reflections to share soon, but for now let us sign off with an expression of gratitude. 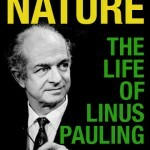 Were we Linus Pauling, in all his characteristic formality, we might “judge that it is surely fine” that you continue to read our work and find it useful. As is, we’ll simply say thank you and ask that you please keep checking back — there is much more to come.